Inspired by Peace and Woof’s “Chicken Liver Training Treats for Dogs” video, we decided to try our hand at some liver brownies for Cotton too. 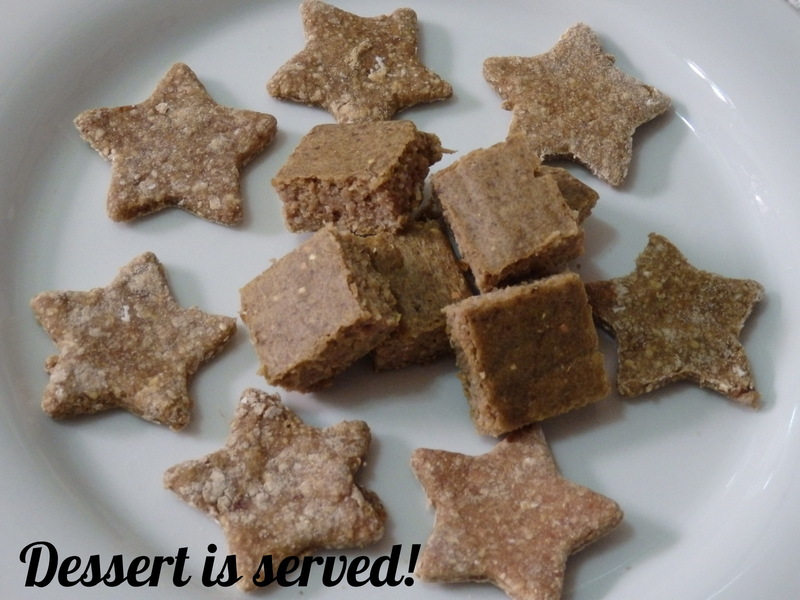 They turned out really well and passed the fussy eater Cotton test, so it’s a treat you could try for your dogster if she/he is a picky eater too! 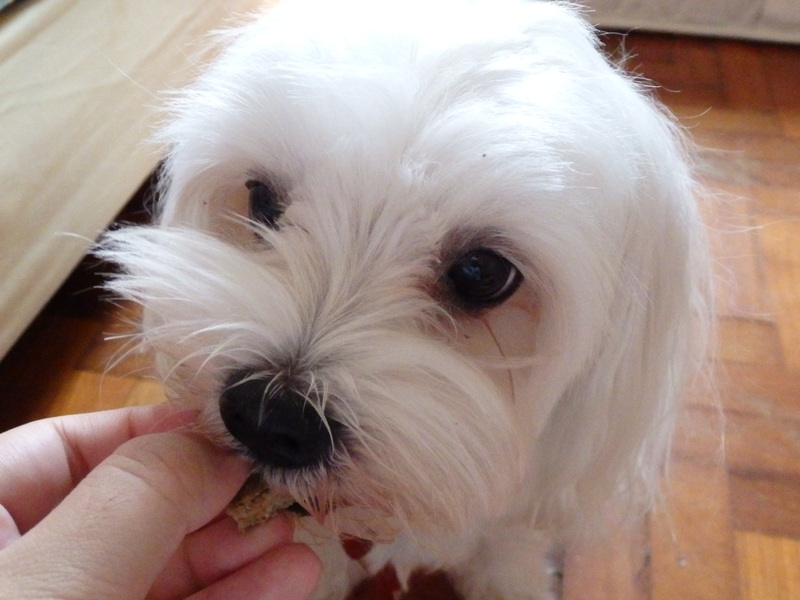 Most dogs can’t resist liver as it has a strong and pungent smell, but do resist giving your dog too much as he doesn’t need that much additional protein if he’s already on a balanced diet. 6. Bake for 40mins at 180 degrees Celsius or until the brownies are firm to touch. They should be firm but not stone hard. 7. After cooling for about 10 minutes, flip the brownies over to allow the transverse side to dry. 8. When completely cooled, cut into cubes and store in an airtight container. Cotton really loved these and we will definitely repeat this recipe in future!